Carbon-fiber-reinforced polymers (CRFPs) play an increasingly important role in modern automotive and aerospace engineering. Their high elastic modulus in connection with a low density makes them an attractive replacement for heavyweight materials in supporting structures. Despite their excellent light weight properties, the life expectancy of CFRP is sensitive to intrinsic micro defects of their constituents, i.e. fiber and resin. Thus methods for quantitative defect investigation of CFRP are in high demand. 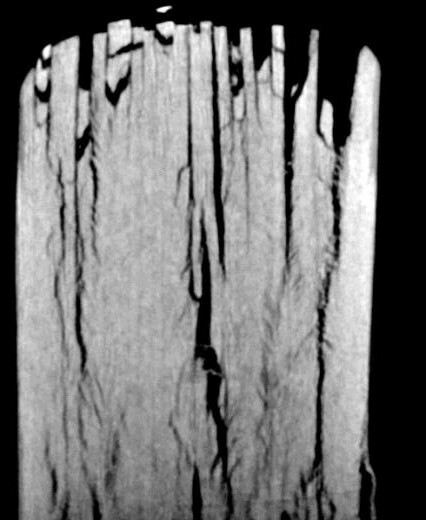 For this purpose, X-Ray computer tomography serves as a powerful tool, offering the ability to detect defects in the three-dimensional space very precisely. 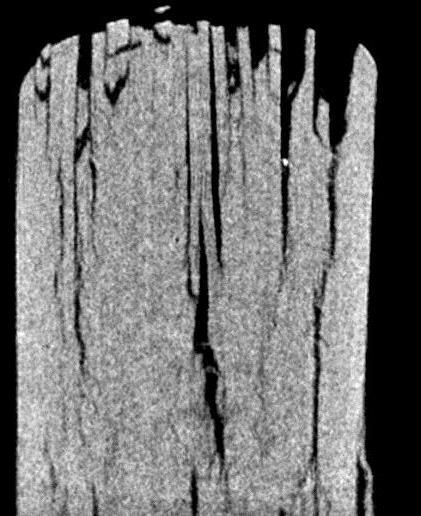 Unfortunately, the X-ray contrast between the carbon fiber and the surrounding resin in CRFP is very low due to their similar absorption coefficients. In recent years, phase sensitive X-ray methods were advanced, promising a higher sensitivity between such materials . Particular in connection with X-Ray computer tomography, phase contrast methods could play a key role in revealing the micro structure of modern composite materials. 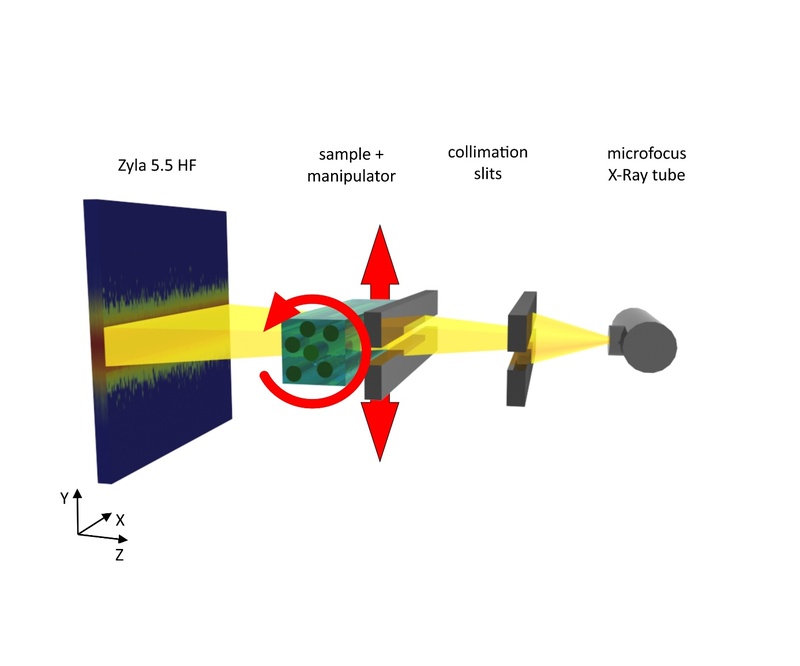 In this application note, a three dimensional phase sensitive X-ray method is presented, requiring a microfocus X-ray source, precise collimation slits and a high resolution X-ray camera with low noise such as the Zyla 5.5 HF sCMOS camera from Andor Technology. Unlike to diffraction experiments, the angles to be detected are in the range of µrad. To detect theses small angular deviations, it is necessary to generate a very fine collimated x-ray beam. In the used setup, this is achieved by collimating the divergent X-ray beam of a micro focus X-ray source by two 10µm high consecutive slits to a divergence of 70µrad (see Fig. 1). The line-shaped X-ray beam passes through the sample at a selected area and impinges subsequently on the detector. Small-scale features, i.e. significant smaller than 10µm, result in a spread of the beam caused by refraction and diffraction and can be detected by a broadening of the beam profile. The former is associated with the term differential phase contrast and the latter with the term dark field contrast. 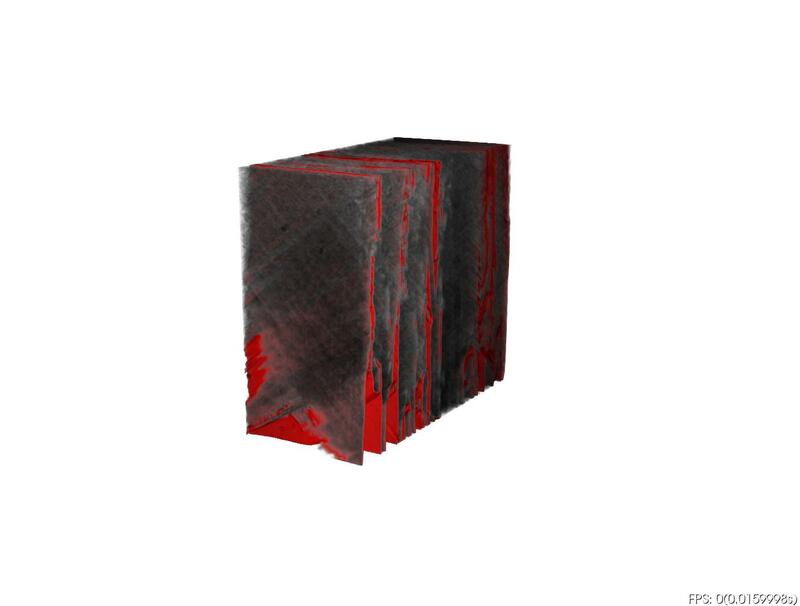 Especially the X-ray dark field contrast is well suited for the defect investigation of CFRP. Typical failures of CFRP - such as matrix-matrix, fiber-fiber or fiber-matrix defects - are in the range of a few micrometers, considerably smaller than 10µm. Fig.2: (a) shows a picture from the Zyla 5.5 HF of the reference beam. The cross section of the beam profile indicated by the gray bar is depicted in (b). By comparing the unaffected with the distorted beam profile, the shift and broadening can be evaluated. It is important to note that this setup is sensitive for beam variation in the Y-direction, offering the ability of contrasting features as function of their orientation. In this case, features like fibers and cracks parallel to the X-direction are observed. The shift and the broadening of the beam can be evaluated quantitatively by the center of mass and the variance of the beam profile related to the differential phase and the dark field contrast. The tomographic 3D-reconstruction requires projection images from 0° to 180° at distinct angles. For this purpose, the sample is rotated around the X-axis, indicated by the red rotation arrow in Figure 1. To generate a one projection image, the sample is moved through the collimated beam. 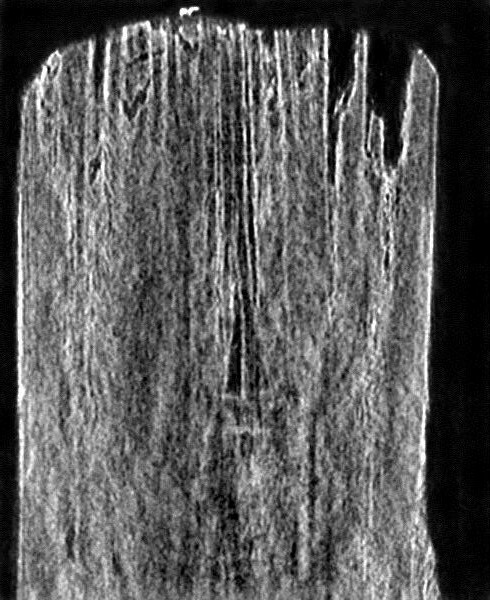 Each recorded beam profile is evaluated for shift and broadening, and finally all rows are stitched together to one image . The procedure is repeated at every rotation angle. All in all, 300 beam profiles per projection image at 180 angles ranging from 1° to 180° were recorded. For the tomographic 3D-reconstruction of the dark field and absorption signal, the well-known filtered back projection (FBP) method was used. However, the reconstruction of the phase needs a modification since the usual ramp filter has to be replaced by a Hilbert transformation . A specimen with a size of 2.5 x 2.5 x 3.5mm prepared out of a fatigue damaged CFRP coupon was investigated. A cross section of the reconstructed volume of the absorption, phase, and dark field value is depicted in Figure 3a to 3c. In contrast to the absorption image (Fig. 3a), the phase image (Fig. 3b) reveals new details about crazes passing through the CFRP. The X-ray dark field image (Fig. 3c) clearly indicates that further micro cracks below the resolution are included in the sample. In combination with the phase value (Fig. 3d), the extend of the damage emerges considerably better. A rendered volume model of the combination of phase and dark field information is presented in Fig. 3e. For the described phase sensitive X-ray imaging method, a high resolution X-ray camera is needed, which allows to detect these small angle deviations. The achieved angular resolution is below 1µrad. Due to the fact that only a small portion of the light is provided by the collimation, a sensitive X-ray camera is needed. The sensitive Zyla 5.5 HF with fiber optic plate matched our demands perfectly. F. Pfeier, T. Weitkamp, O. Bunk, C. David. Phase retrieval and differential phase-contrast imaging with low-brilliance X-ray sources. Nature Physics 2006. 258 - 261.